In 2014, Pam and Chris purchased a 185-acre Amish dairy farm in a rural upstate New York community where the farms are about half old-order Amish, half conventional dairy or crops ... with no intention of converting to Amish, milking cows, or being conventional farmers. 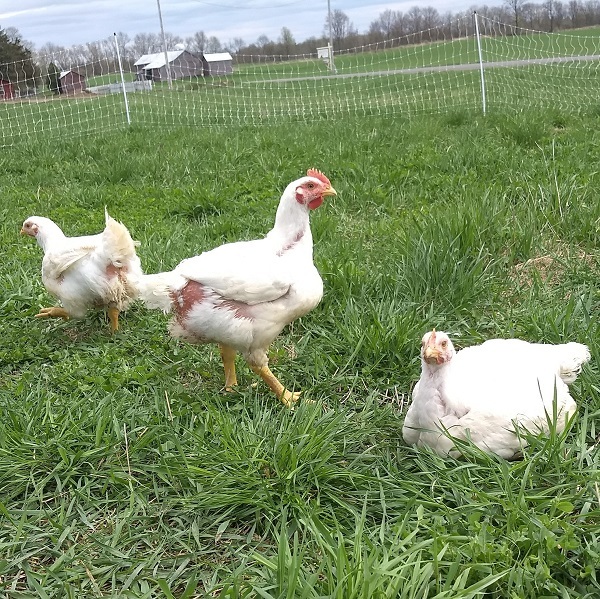 They started Abundance Acres Farm with a small herd of Creme d'Argent rabbits (hence the dancing bunny logo), a few flats of veggies for the kitchen garden, and a desire to grow delicious, healthy food. Then came egg layers, turkeys, chickens, and pigs--all before they even had hot water in the house, never mind a toilet! Now, most of what they grow is unique and heirloom (vegetable variety) or heritage (animal breed). The focus is pasture-raised animals for eggs and meat but they offer vegetables and maple syrup too. Pam and Chris see the farm as a system, and their pollinator-friendly practices are a mix of old fashioned, organic, and (un)common sense that incorporates rotation, quality inputs, mechanical weeding, companion planting, and mulch. They avoid the use of medicated feeds, synthetic chemicals, and genetically modified organisms in their feeds and fields.